Kinokuniya Opening Bookstore, Pop-Up Shop in Portland, Ore.
Kinokuniya's chairman and president Masashi Takai confirmed Wednesday that the company plans to open its 13th U.S. Books Kinokuniya location, in downtown Portland, Ore., in the spring of 2019. The bookstore will be located in the former home of the historic Guild Theatre on Southwest Ninth Avenue between Taylor and Yamhill streets. As a preview of the new store, Kinokuniya will open a pop-up shop at the nearby Cleaners at Ace Hotel from December 20 to 24. Kinokuniya's store in Seattle, Wash. 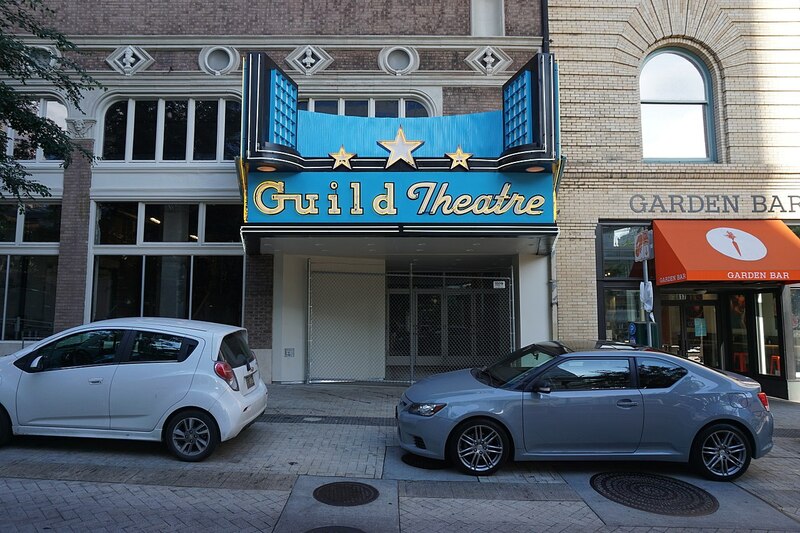 Noting the coincidence that both Kinokuniya Bookstore and the Guild Theatre were founded in 1927, the company said: "We are honored to have the opportunity to take over this historic building and open a new store. We will respect the historic importance of the theater, and will strive to preserve the exterior to honor it for posterity. 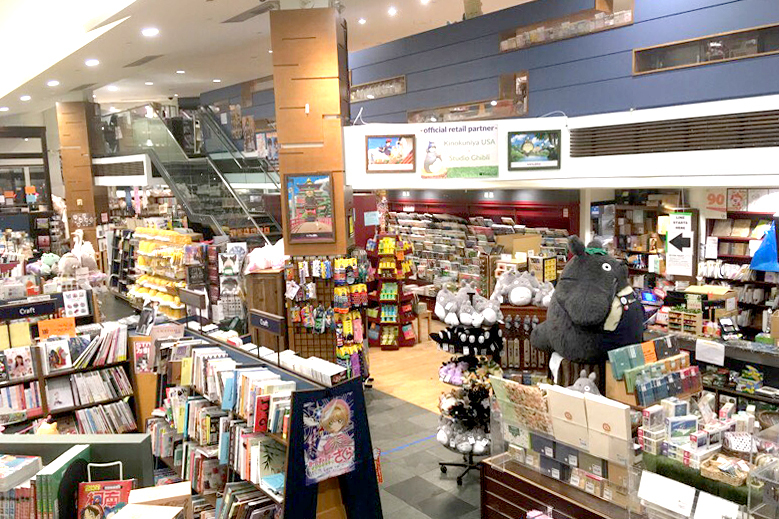 The store will carry carefully selected books, unique merchandise and Japanese stationery, with a focus on art and comics from Japan, which have been strengths in our existing stores. We will also collaborate with a beloved local Japanese cafe to provide a space for both Portland locals and tourists to relax and drink authentic Japanese tea." Vanessa Sturgeon, president of TMT Development, told the Oregonian that Kinokuniya is subleasing the space from another entity she declined to identify, but added that TMT is "very excited" about having the bookseller in the building. 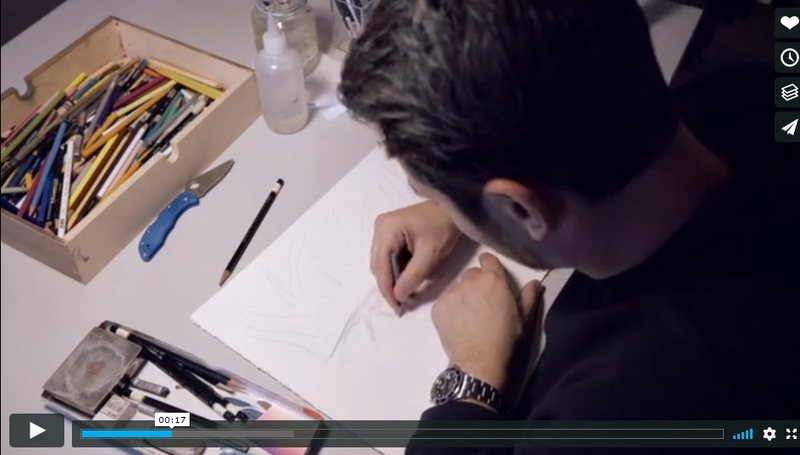 "Their concept generates so much energy." Although she hasn't been to a Kinokuniya store, she said she has spoken with people who have, and "there's sort of an irrational level of excitement about having one of these stores in the downtown area." Total net book sales in October in the U.S. dropped 0.8%, to $1.57 billion, compared to October 2017, representing sales of 1,080 publishers and distributed clients as reported to the Association of American Publishers. For the year to date, total net book sales have fallen 0.7%, to $12.3 billion. With a sales increase of 40.3%, downloaded audio was again the fastest-growing segment of publishing. E-books had a strong month, with sales up in all categories. Adult hardcovers slipped 0.3%, and adult paperbacks dropped 6.9%. The loss of income following Hurricane Florence in September has compelled Quarter Moon Books & Gifts, Topsail Beach, N.C., to launch a fundraising campaign. The storm "devastated our business," owner Lori Fisher posted on the store's Facebook page: "After exploring all other options, we have reached the point at which we must make a choice: close the store or ask for your help. After 24 years in business, we're asking for your help." On the "Save Quarter Moon" GoFundMe page, Fisher wrote: "We were so very fortunate not to have suffered significant physical damage from Hurricane Florence, but due to the immense amount of damage to homes on Topsail Island, the loss of income has devastated our business. We still have debt from inventory purchases, plus monthly mortgage payments, utilities and taxes. I have drained my personal resources, applied for various Small Business Loans with no success, and have reached a point in which I must make a choice to close the store and liquidate or reach out and ask for help. "For more than 24 years, Quarter Moon Books and Gifts has been a pillar in the community of Topsail Beach. 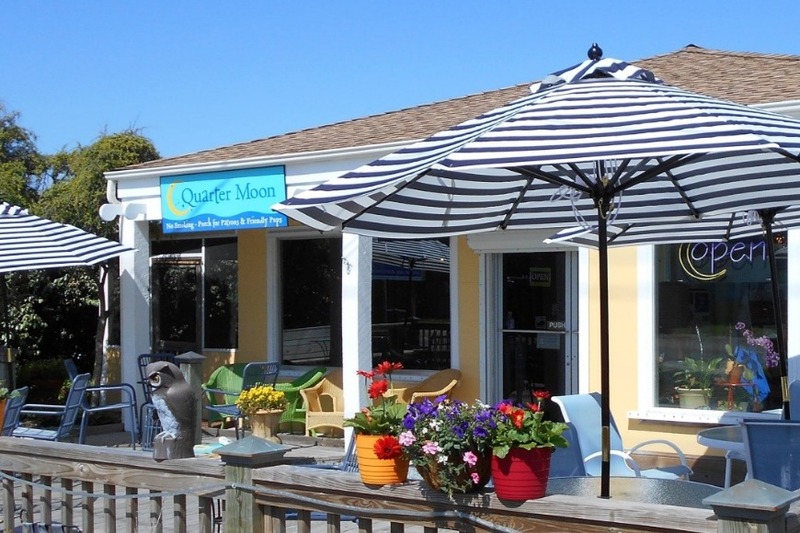 Not just a small business, the Quarter Moon is a gathering place. Many of our customers are vacationers, and the Quarter Moon is a place they return year after year.... I love this community and I love this store. It has been a dream for me. Thank you for your consideration. I cannot express how much I appreciate any amount you would be willing to share with Quarter Moon." At the end of this month, Grand Central Publishing is folding its Grand Central Life & Style imprint into its flagship Grand Central list. Grand Central will continue to acquire and publish books in the health, wellness, self-help, inspiration, and food and cooking categories but they will all be published as Grand Central titles. Upcoming titles that were to carry the Life & Style imprint will carry the Grand Central colophon as soon as practical, and backlist titles will carry the Grand Central colophon as titles are reprinted. Forthcoming titles include The Clean Plate by Gwyneth Paltrow, Eat to Beat Disease by Dr. William Li and The Klossy Code by Karlie Kloss. The company said that "as part of this reorganization, a few specialist positions in editorial and publicity have been eliminated." That includes Karen Murgolo, v-p, editorial director of Grand Central Life & Style, who is leaving the company. South Africa-born British author Justin Cartwright, who was shortlisted for the Booker Prize for In Every Face I Meet (1996) and won the 1998 Whitbread Book Award for Best Novel for Leading the Cheers, died December 3, the Bookseller reported. He was 73. The author of 13 novels, his most recent book, Up Against the Night, was published in 2015. In a tribute to his friend of more than 50 years, Umbria Press publisher Alan Gordon Walker said Cartwright was "very kind and popular, and well regarded in the publishing community. He was a confident and generous person and had lots and lots of friends.... We met at Oxford in about 1966, we were at different colleges but we became friends and lived together briefly before he went into advertising and I went into publishing, later publishing some of his books." Gordon Walker also noted that Cartwright's first novel, Interior, "was published to great acclaim in 1988. Look at It This Way was made into a three-part drama by the BBC.... The main themes of his books were about South Africa, some were set in Cornwall where we went on holiday. He was very good at drawing on characters, some [inspirations] of whom I knew in real life, some of which were composite. If there had been a Granta Best Young Writer list then, he would have been on it. Some of his really good books were not shortlisted for any awards. But I always felt he was fulfilled and he would write a book every two years." Bloomsbury UK tweeted: "We are deeply saddened to hear the news of the passing of our beloved author Justin Cartwright. Our thoughts are with his family and friends at this time." What has changed since you opened? When we opened we were much more into used books and now we have become more of a new books store. It is what our customers asked for. We also have more staff. What advice do you have for someone just starting a business? Have a business plan. Keep referring to your plan and make changes accordingly or add to it as you see fit. It's not one and done. We are here and we have been in this location for 2 1/2 years. We are going to be expanding our events including a wide variety of different authors. Sundog Books, Seaside, Fla.: "Look who's back! Pippi, the Sundog Elf, has returned to spread holiday cheer (and probably a few hijinks, too!). Stay tuned for fun gift ideas from Pippi and the Sundog crew!" Diana's Books and More, Elkin, N.C.: "Our Elf, Clancy, arrived at the store today!! He is excited to see everything the store has to offer and can't wait to meet all of you!!" King City Books, Mount Vernon, Ill.: "This little guy will be hiding in King City Books until the 28th of December! Come in and find him, take a selfie with him, post it on Facebook and tag Downtown Mt. Vernon Development Corporation. After you post your picture you will be able to enter into a weekly drawing that will happen every Friday. Happy elf hunting!" Prologue Bookshop, Columbus, Ohio: "Today marks the start of Prologue Bookshop's Elf on the Shelf Challenge for kids! He moves every Wednesday, and if you locate him over the next three weeks, you win your choice of children's book. #elfontheshelf." 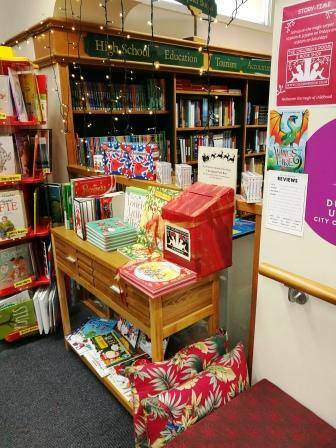 New Zealand bookseller University Book Shop Otago in Dunedin shared photos of an annual tradition on Facebook: "We have Santa's Post Box set up in the Children's Room again--drop in your letters, missives and billet-doux so that we can forward to the relevant authority by e(lf)-mail. Remember--put an address on the back! Everyone who does will get a reply... See you at the Booklover's Christmas Evening tomorrow, 5-8 p.m.! 15% discount on full-price items, free giftwrapping, festive cupcakes, helpful booksellers..."
Bear and Wolf by Daniel Salmieri (Enchanted Lion Books). C-Span's Q&A with Brian Lamb: Peter Osnos, founder of PublicAffairs, who will discuss publishing, including books by Donald Trump and Barack Obama that he edited or published, as well as PublicAffairs history. ABC's This Week: Doris Kearns Goodwin, author of Leadership: In Turbulent Times (Simon & Schuster, $30, 9781476795928). The first trailer has been released for Kenneth Branagh's Shakespeare drama All Is True, the Guardian reported. Written by Ben Elton (Upstart Crow), the film features Branagh, who also directed, as the playwright "living in retirement with his wife Anne Hathaway (Judi Dench) and grappling with a number of personal crises--including the death of his son Hamnet and the destruction of the Globe theatre in a fire." All Is True will be released in February in the U.K. and U.S. The longlist has been unveiled for the CA$25,000 (about US$18,675) RBC Taylor Prize for Literary Nonfiction, which recognizes an author "whose book best combines a superb command of the English language, an elegance of style and a subtlety of thought and perception." A shortlist will be announced January 9 and the winning author named March 4 at an awards ceremony in Toronto. The winner also announces his or her choice for the CA$10,000 (about US$7,470) RBC Taylor Prize Emerging Writer's Award. The two most popular books in November at Reading Group Choices were The Wife Between Us by Greer Hendricks and Sarah Pekkanen (St. Martin's Press) and The Kinship of Secrets by Eugenia Kim (Houghton Mifflin Harcourt). Maryse Meijer is the author of the story collections Heartbreaker and the forthcoming Rag. 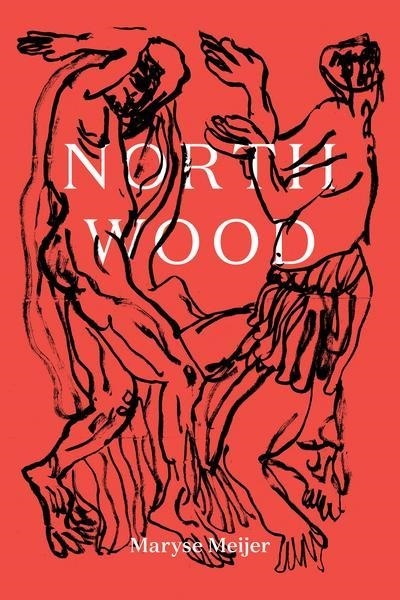 Her new novella, Northwood, was just published by Black Balloon Books. The Mirror of Tauromachy by Michel Leiris. I'm working on a book about bullfighting, and in my research came across this surrealist gem, complete with incredible line drawings. The first 17 pages are like poetry: dense, wildly imaginative, true. Best thing I've read this year. Pet Sematary, Stephen King. Actually, this was my twin sister's favorite; she read it 14 times in grade school. It so dominated our literary landscape that I can't remember what my favorite book was. We like to say it taught us about what marriage was all about... thanks, Stephen. Robert Walser--who makes the smallest things feel huge. Joyce Carol Oates--she's done everything I've ever wanted to do as a writer, and she's done it literally hundreds of times. Her short stories completely informed my own. Elizabeth Bowen--mainly because of The Death of the Heart, a book worth 1,000 others. Janet Frame--every book she wrote is heartbreaking. Anne Carson--because everything she writes is brilliant, effortlessly original and completely human. Miss MacIntosh, My Darling, Marguerite Young. An enormous, fairly obscure two-volume epic that I enjoyed carting about for a month. I never got past the first 50 pages and still have no idea what it's about. How Like a God, Rex Stout. Look, this is the best book you've never read. If you can track down a copy--it's been out of print since the '60s--you won't regret it. Incredibly well-written, bizarre and a rare, early example of a narrative told in the second person that really works. Gut-punchingly good. The Satanic Bible, Anton LaVey. The ONLY book banned from our household; of course, my twin and I just had to have it. Strange Angels, Kathe Koja. I read this in my early teens and it really did change my life as a writer; I immediately cribbed Koja's stream-of-consciousness style, and to this day I still find her voice cropping up in my own work. It was the first book I'd read that felt like exactly the sort of thing I wanted to write someday. I read it every year. Autobiography of Red, Anne Carson: A perfect book. Period. The Vivisector, Patrick White: Sad, difficult, strange--I read it obsessively during geometry class in the 11th grade. Every time I read it, I think about chalk and triangles. In a really good way. The Gallery, John Horne Burns: A book of sketches, each from a different character's point of view--incredibly beautiful on every level. Beware of Pity, Stefan Zweig: A juicy, melodramatic story full of spot-on insights into human nature. The Necrophiliac, Gabrielle Wittkop: A book that transcends taboo; sympathetic, ironic, romantic, lonely--a book that manages to make passion for dead bodies weirdly, beautifully understandable. Truly incredible. 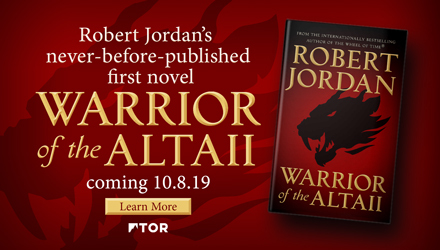 I held off reading this novel for years, thinking that something so popular--and historical--could never live up the hype. Well, I was totally wrong--this is one of the best books written in the last 100 years. Or ever. It was so exciting to read a contemporary novel that felt immediately classic; I envy anyone coming to this text for the first time. I loved this book of poems based on fairy tales so much that I cribbed from it shamelessly while writing Northwood. I actually feel enraged when I think about how good it is; no one should be allowed to be so brilliant. Damn you, Sexton!! Through nine books, Dani Shapiro has mined her own experiences, trying to find meaning in events that have shaped her life. 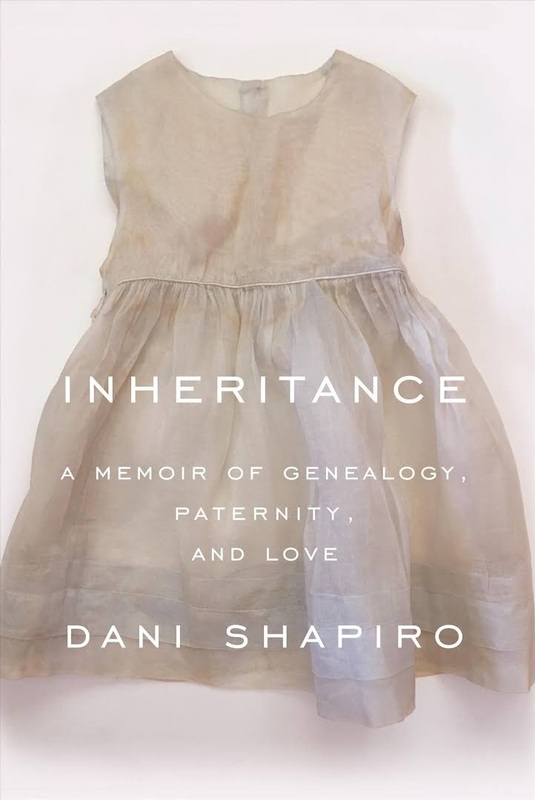 Shapiro's ongoing literary narrative continues with Inheritance, an unflinching, deeply personal account of how a DNA ancestry test irrevocably altered her life and the familiarity therein. The shocking results forced Shapiro to question her identity and everything she believed about herself, her family history and her existence over 54 years of living. Shapiro grew up an observant Orthodox Jew shaped by her parents and a large "dynastic clan" in New Jersey. She was schooled at a yeshiva, spoke fluent Hebrew and lived in a kosher home. Religion and her spiritual life became the bedrock of her existence until she ultimately rebelled, breaking with Judaism while in college. When Shapiro was in her 20s, a catastrophic car accident claimed the life of her father, a man whom she deeply loved and respected. It also left her mother--distant and self-contained; an "enemy" chronically at odds with her daughter--afflicted by years of related injuries until her death. Shapiro eventually reconnected with the traditions of her Jewish heritage after she became a mother herself. Several years go, Shapiro decided, on a lark, to have her DNA analyzed. The report listed the name of an unfamiliar first cousin--a stranger to the fold of the Shapiro family. This aberration ultimately revealed the life-altering truth: Shapiro's father was not her biological father. By mining stories, anecdotes and conjuring remembrances from the past, Shapiro filled in the gaps: her mother had several miscarriages by her late 30s, and her father suffered from slow sperm. This led her parents to a "brilliant doctor" and a then innovative, "world-famous" fertility institute in Philadelphia where Dani--aka Daneile--Shapiro was conceived in the 1960s via a breakthrough technology now known as artificial insemination. 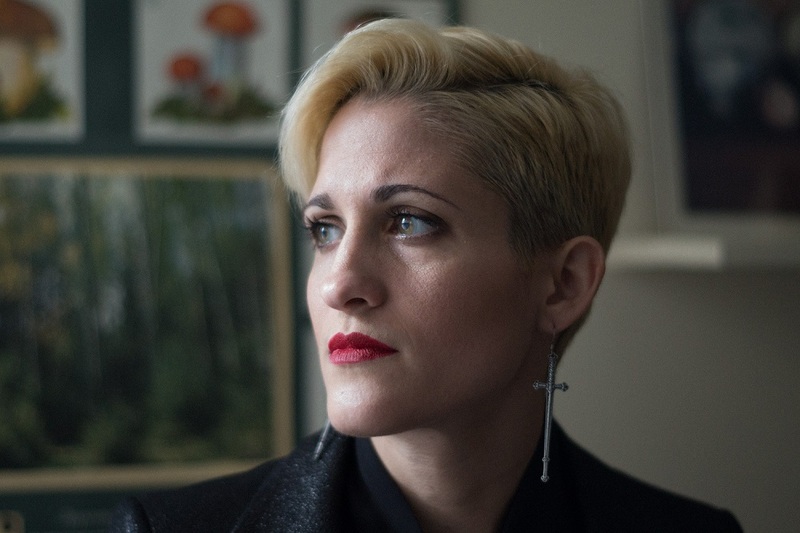 Shapiro's keen investigative efforts reveal how the clinic--now considered questionable in its practices and ethics--relied upon the donor sperm of young medical students to help challenged couples conceive via in vitro fertilization. Shelf Talker: An eloquent memoir that details how an ancestry DNA test propelled a well-known writer to explore personal and universal issues of paternity, genetics, science, ethics and truth. Living in upstate New York, I tend to take Christmas trees for granted, but every year about this time I spend a few days in Manhattan. Walking past the sidewalk Christmas tree vendors, I find myself acutely aware of the scent of freshly cut evergreens (generously seasoned with exhaust fumes and food cart aromas, of course). 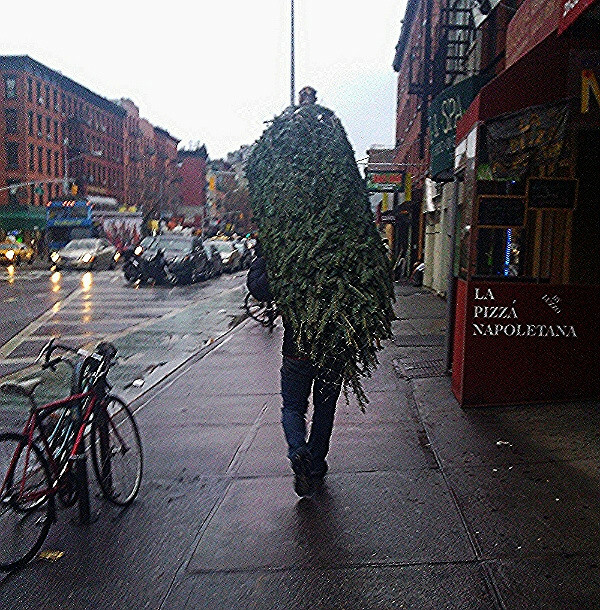 I realize there's nothing unique about having Christmas trees on my mind this time of year. Last weekend I also made my annual pilgrimage to the Metropolitan Museum of Art to see its beautiful Christmas Tree and Neapolitan Baroque Crèche in the Medieval Sculpture Hall. On the other hand, there was a special Christmas tree moment in a subway station while I was in the city, so my traditional holiday season trip was enhanced a bit more than usual. I've also been monitoring the impressive growth of a bookstore Christmas tree forest in social media postings. Now it's time to share some of my finds, beginning with the arrival of Brewery Bhavana's 15-foot-tall holiday tree in Raleigh, N.C.: "We decided this year to pick naturally shaped asymmetrical trees for both Bhavana and Bida Manda to go along with our intention to lean in when things get tough and to embrace all of life's beautiful imperfections." 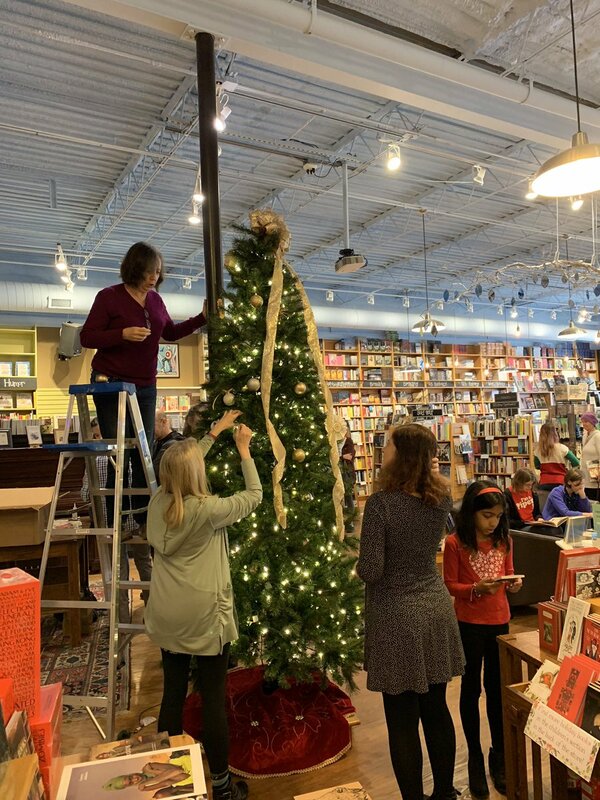 The decorating process was shared by Yardstick Bookshop and Gallery in Algoma, Wis., and Parnassus Books, Nashville, Tenn ("Tree trimming in progress! "); while final results were on display at Browse Awhile Books, Tipp City, Ohio ("Come See us! "); the Open Book Canyon Country, Santa Clarita, Calif. ("It's official, the Open Book has hit peak holiday spirit. "); the Mulberry Bush Bookstore in Parksville, B.C. ; and Goldsboro Books in London, England ("It's beginning to look a lot like Christmas..."). Christmas trees constructed from books seem less popular than they were a few years ago, but there are still some fine ones on display, including Burke's Book Store's creative spin in Memphis, Tenn.; a holiday bookstack at Book No Further, Roanoke, Va.; and Penguin Bookshop's befogged tree in Sewickley, Pa. ("Our event last night was so steamy our windows fogged up, creating this beautiful image of our book tree, seen from outside."). 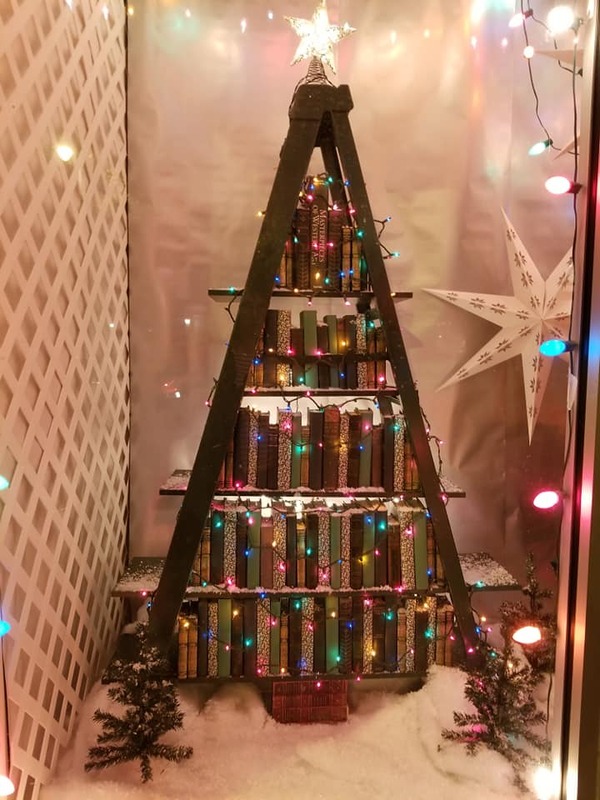 Many booksellers decorate their in-store holiday trees with variations on the theme of book angel donation initiatives to get books into the hands of children who might have limited access to them. "Soon this tree will become our Book Angel tree. Tags will be hung with the names of local children who will get a gift-wrapped book for the holidays thanks to your generosity," Northshire Bookstore, Manchester Center, noted. "Our Angel Tree has arrived!" Page After Page Bookstore, Elizabeth City, N.C., announced last week. 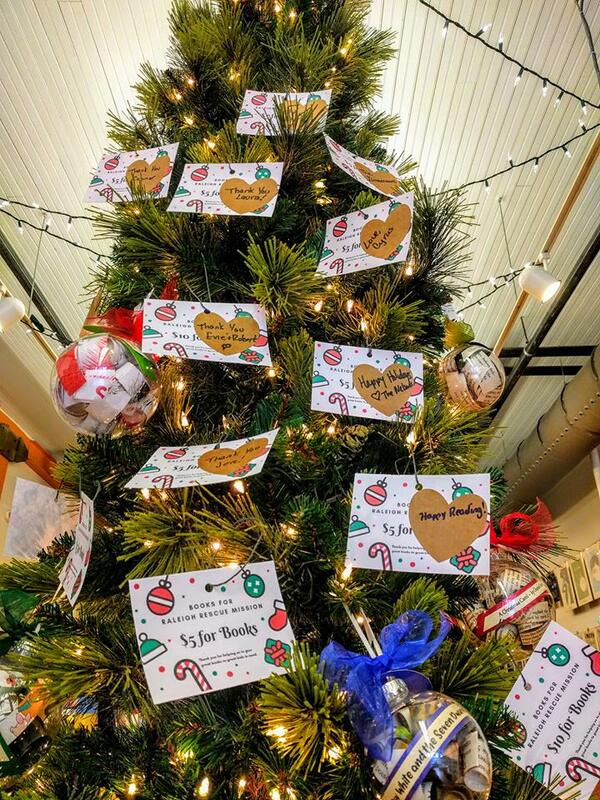 Read With Me, Raleigh, N.C., shared a photo of its Giving Tree, "filled with families' names who have helped us give great new books to great kids in need at the Raleigh Rescue Mission." Mary F. Buckley, co-owner of Eight Cousins Books in Falmouth, Mass., told the Enterprise that their Giving Tree has returned: "It is a wonderful program. It was Betty Borg's idea, and when Carol [Chittenden] took over the store, she kept the tradition alive, and we continued it.... We thought it was a wonderful project. It is a way to provide books to kids who may not have them during the holiday season." Indigo Bridge Books and Café, Lincoln, Neb., featured a book tree as well as a Giving Tree program that accepts blanket donations for Prescott Elementary's Family Literacy Program: "Each family member will receive a new blanket and a book in their native language. Choose an ornament from the tree and bring your blanket back to Indigo by December 15." Although not strictly speaking a bookstore, Longwood Gardens in Kennett Square, Pa., has blended the concepts: "Created from more than 1,500 children's books, this 14-foot tree symbolizes the act of book giving. Each book on this tree will be donated to local schools at the end of our Christmas display." Carmichael's Bookstore, Louisville, Ken., is offering an alternative: "We love books AND animals so are happy to help our friends No Kill Louisville. Stop by our Frankfort Avenue store and grab an ornament today!" For sheer Christmas tree forest ambition, however, a special shout-out must go to the Galilean Christian Bookstore in Leesville, La., which "dazzles customers with more than a dozen Christmas trees... sprinkled throughout the store," KALB reported. All this has brought to mind a book that I used to handsell this time of year: Christmas on Jane Street: A True Story by Billy Romp and Wanda Urbanska. Every year, Vermonter Romp and his family spent December living in a camper and selling Christmas trees on Jane Street in Greenwich Village. In the book, he writes: "I'm a modest man, but I will tell you this: I have this gift for matching the right tree with the right customer... In my view, a Christmas tree is not merely a piece of merchandise, it's something worthy of respect." Sounds like he'd make a good bookseller, or at least know the perfect tree to recommend for your store.